We take a quick look at some of the Joseph Joseph bathroom accessories. Founded in 2003, innovative home accessories brand Joseph Joseph have been live on the Victorian site with a selection of bathroom accessories and storage since April 2018. Known for their stylish and practical products for the home, including the kitchen and bathroom, Joseph Joseph bathroom accessories are proving to be popular with customers looking for sleek, cool accessories with great features for everyday life. 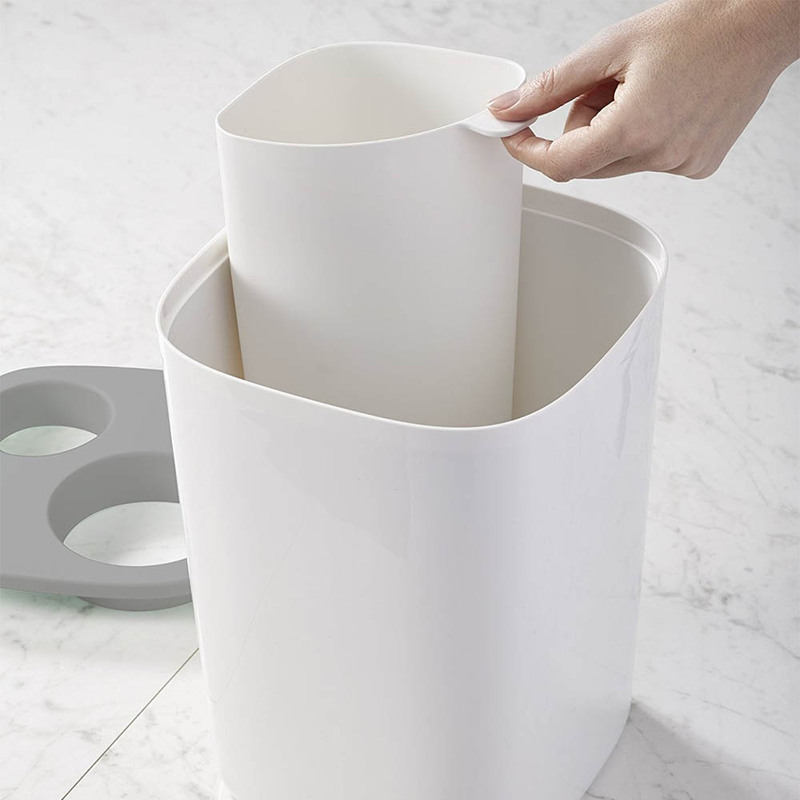 For example, the Joseph Joseph Easystore Toilet Paper Holder is stylish and practical piece of design - not something often seen in more standard toilet paper holders. The features are designed thoughtfully - a discreet storage space works perfectly for sanitary items, whilst a friction-gripping toilet paper holder stops the roll from unwanted unravelling. OK, we admit, they're not life's biggest problems - but Joseph Joseph's considered design approach is applied across the range and you'll find lots of little features that make the brand stand out. 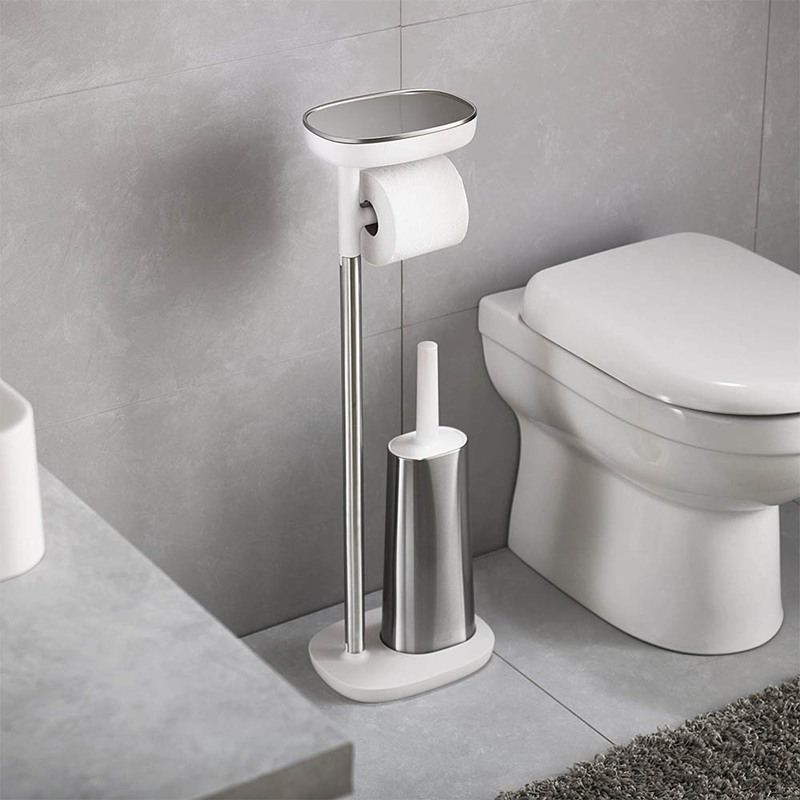 Another great example is the Joseph Joseph Flex Plus Smart Toilet Brush & Holder, pictured here in a contemporary white and grey finish. 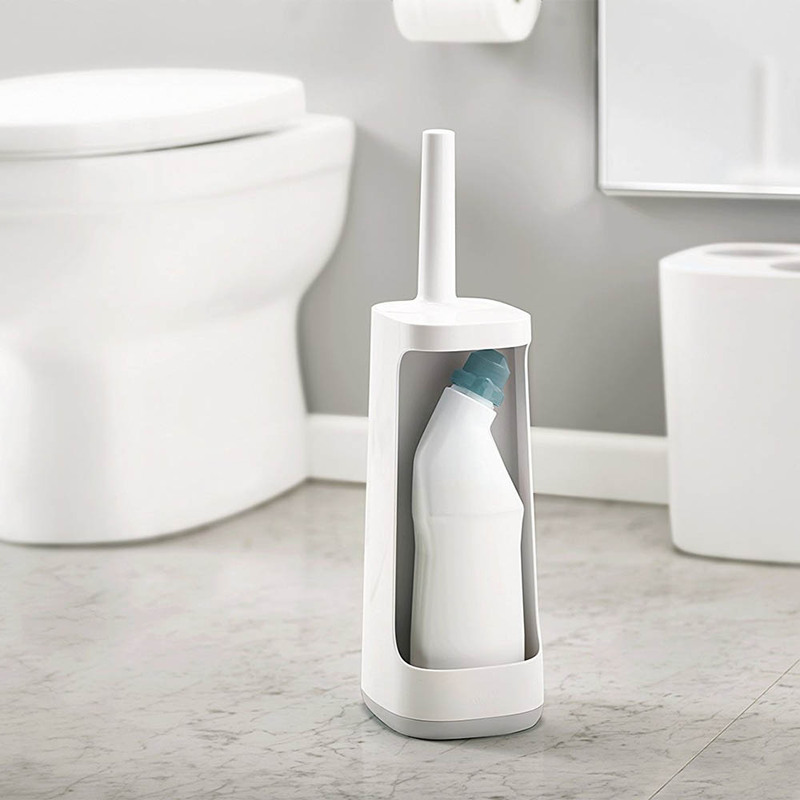 We're always looking for ways to declutter our bathrooms - and this great design allows for a convenient storage space for toilet cleaning products within the brush holder itself. No more branded bleach bottles standing aimlessly around the toilet, great stuff. Finally, many families are looking for ways to make recycling easier. We all know the number of plastics that can come out of bathrooms - from shampoos to cleaning products, we can all do our bit in reducing landfill-bound waste. We're glad to see that the Joseph Joseph bathroom waste bins have handy compartments, meaning we can quickly sort our recyclables from our normal bin. Check out our range of Joseph Joseph Bathroom Accessories, currently available in both White/Grey and White/Blue finishes - starting at £7.95.